Clinical Applications of Cytokine Assays. Diagnosis and Treatment of Acute Pancreatitis. Mitochondrial Mutations and Mitochondrial Diseases. Pathobiochemistry of Nephrotic Syndrome. Total Antioxidant Capacity. Autoantibodies to dsDNA, Ro/SSA and LaSSB in Systemic Lupus Erythematosis. Lymphoid Malignancies and Immunosuppressive Analysis. This volume, edited for the last time by H.E. 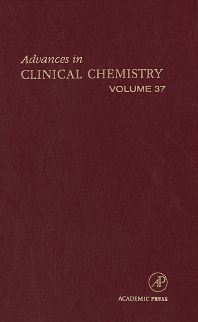 Spiegel, continues the objective of expanding the intellectual horizon of clinical chemistry. The fields of analytical, anatomical, sub-cellular and molecular sciences are all represented in this volume. Applied Science & Technology Associates, Inc., Cedar Grove, New Jersey, U.S.A.